To be able to offer effective long-term treatment solutions, the contemporary skin treatment specialist must fully understand the prevailing skin condition and have an in-depth knowledge of the cells and systems involved to be able to confidently embark on a corrective program. There is much to be understood regarding what has caused the pigmentation we see in our clients and why it is a disorder that will not go away by itself. In fact, pigmentation is possibly the hardest of all skin conditions to understand and get a satisfactory result when treating. This is where the skin technician can unwittingly waste time and money (not to mention challenge professional credibility) by taking the solution in the wrong treatment direction by using the modalities out of sequence. Understanding what is going on during the melanocyte life cycle, and at what stage during the cycle the problem has been triggered will ultimately dictate the best sequence of modalities to deal with the problem. 1. If all pigment is passed to the keratinocyte and all keratinocytes ultimately desquamate, why does pigmentation remain within the skin? 2. If the pigment has not been past to a keratinocyte, where is it? 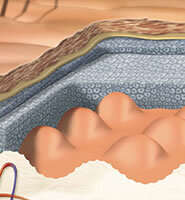 Melanocytes make up approximately 10% of the viable epidermis, or around 1300 Melanocytes per square millimetre. The Melanocyte is a dendritic, long lived and slow cycling cell with no major stem cell resource. This profile means that if a Melanocyte becomes damaged or lose efficiency in any way, then it would be unable to correctly deposit or distribute the pigment-carrying melanosomes to the keratinocytes. 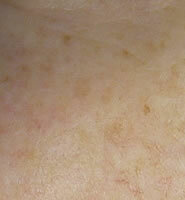 Localised hypo or hyper pigmentation will be the result. In some forms of pigmentation, (generally in people over 40) the Melanocytes in the affected areas are suffering from cellular senescence. Put simply, this is cellular Alzheimer’s, and is caused by the cell’s ageing. In this scenario, cells are still functional but in an abnormal manner. This abnormal activity can manifest itself in either loss or over production of the pigment-carrying melanosomes, resulting in abnormal distribution of pigment to the keratinocytes. 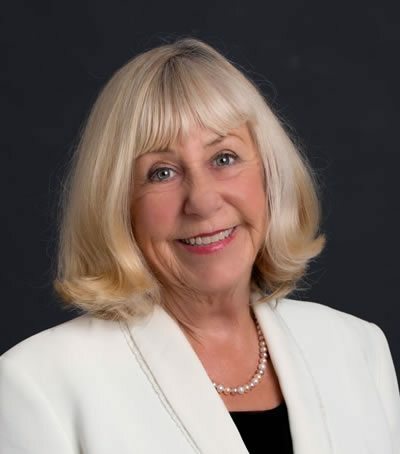 Understandably, there will be no quick fix with this as a primary cause, as the effected melanocyte is a long-living and slow-cycling individual with no major source of new cells to draw from. Subsequent generations of keratinocytes will still carry abnormal pigment profiles. At best, these methods will provide temporary reduction. If incorrectly used, these technologies may not only denature melanin pigment, but also destroy the errant melanocyte, and is this what we wish to achieve? 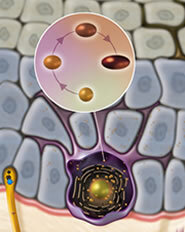 Remember that the melanocyte is a long-living and slow-cycling entity with no major source of new cells to draw from. We could easily make the problem far worse. Cellular old age may be improved by improving the overall health of the melanocyte, to get a more normalized action from them. Essential Fatty Acids like Omega 3 and Vitamin-based treatments will yield the best results, with Vitamin A and C being the obvious choices. In the forms of pigmentation that are caused by DNA damage, the cell’s memory is impaired with the resulting replicated cells duplicating the damage and appearing the same as their predecessors. 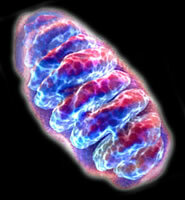 As with Melanocytes suffering cellular senescence, DNA damaged cells are more difficult to treat. They are however easier to prevent. The common cause of the DNA damage is (surprise, surprise) UV radiation, however there is frequently a genetic disposition to this damage in the form of the MC1R gene (Red head gene). This gene is more susceptible to free radical damage than most others, so prevention is paramount. 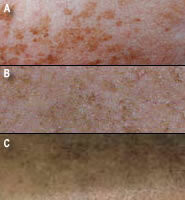 These forms of pigmentation are caused by the Melanocytes receiving an overload of the chemical instructions that stimulate their behaviour at the beginning of melanogenesis. The melanocyte receives an overload of the Melanin Stimulating Hormone and does not know when to turn off, resulting in the continuous manufacture of the pigment-carrying Melanosome. In the case of hormone imbalances, these incorrect messages can trigger Melanocytes to be over active in their melanin production, resulting in the classic butterfly pattern of pigmentation that is characteristic of hormonal pigmentation. Keratinocytes are a hydrophobic cell and represent 80% of the cellular population of the epidermis. There is an almost unlimited supply of these cells because of the keratinocyte stem cells that reside in the very deepest parts of the rete pegs and around the bulge of the hair follicle. Another site where this melanosome dumping occurs is the dermal-epidermal junction. • Cellular senescence (Alzheimer’s), which is caused by ageing cells. Understanding the causes of pigmentation brings you to the inescapable conclusion that there is no one answer to pigmentation and that a treatment program may require all modalities for any result to be achieved. Antioxidant based creams/gels should be used with sunscreen. Suitable for all Fitzpatrick skin tones, Lactic Acid is non inflammatory and hydrating. Many blends of peeling acids are now available. Remembering that this is a preparatory phase of the treatment program, not the answer. If skin requires it, do two treatments 10days apart. Introduce Vitamin A base creams and continue to use Vitamin C based creams/serums & antioxidants & sunscreens. Continue taking supplements. Your choice of skin lightening program, containing Tyrosinase inhibitors. Antioxidants and Vitamin A. 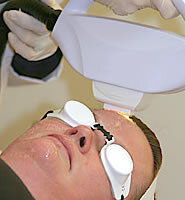 Intense Pulsed Light: degrading the melanin granule. This choice of modality is Fitzpatrick guided and is really only suitable for Fitzpatrick skin types 1-3 and perhaps bottom end 4. As you can see there is no one treatment that will do all things for the pigmented lesion, I would like to point out that the results all vary on the individual and that this is an example of the most basic treatment program. It would have to be repeated a number of times to achieve the best result. Important: Clients should always be warned that it would take only one lapse of sun exposure to undo all of the improvements achieved!